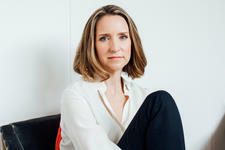 Acne doesn't just affect teenagers - from occasional breakouts to ongoing adult acne, it can affect all of us, and it can be really distressing. 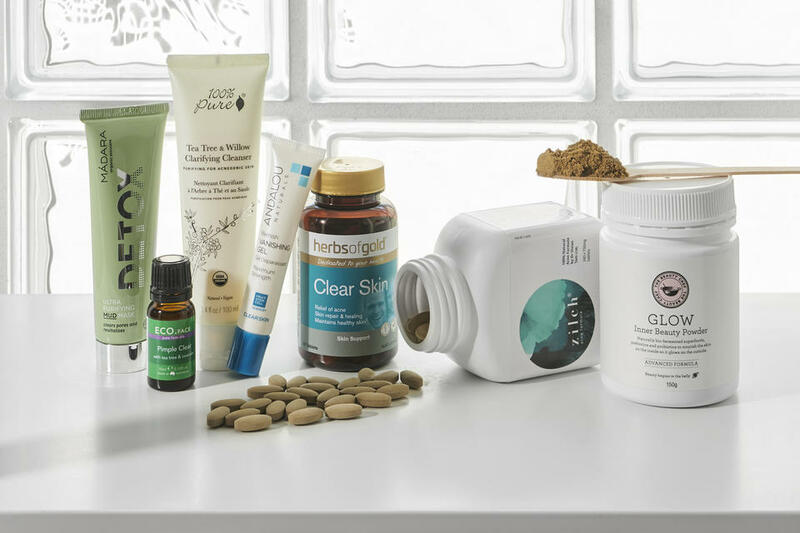 To help you get your skin under control naturally, I've put together this guide to the best natural health supplements and skin care for blemish prone skin. Whether you're suffering from the occasional pimple, hormonal breakouts or ongoing adult acne, skin troubles can affect your confidence and self-esteem, especially when nothing seems to help! But instead of opting for a mainstream acne solution that may dry out your skin or even cause unwanted side effects, I recommend finding a good health supplement and some natural acne skin care treatments which work for you to help keep blemishes under control for good. To effectively banish breakouts, it's important to understand what causes acne in the first place! Pimples often come to life when our sebaceous glands become clogged. Sebaceous glands are found within our skin and their job is actually to secrete sebum, an oily, slightly waxy matter that moistens the skin. This oil is really important to the overall health of the skin, however when these glands produce too much oil or become clogged, pimples can appear. This clogging be caused by factors such as hormones, stress, diet or puberty, which throw off the way our skin normally functions. Sometimes acne can also be worsened by using skin care that is too harsh for inflamed skin, so make sure you use gentle products which nourish and care for angry skin, and complete your routine with a good natural supplement to help treat acne from within. Zilch Acne Formula has been specially formulated to assist in the management of mild to moderate acne. Created by Dr. Vivian Tam, a registered Doctor of Chinese Medicine, this vegan and gluten free formula uses a blend of herbal extracts to help treat whiteheads and hormonal acne. Take four tablets twice a day for best results. Individuals taking anticoagulants should seek medical advice before taking this product. Individuals at risk of bleeding problems should seek advice from their healthcare practitioner prior to taking this product. Do not use if pregnant or likely to become pregnant. If symptoms persist, consult your healthcare practitioner. Always read the label. Use only as directed. As The Beauty Chef says, beauty begins in the belly! Maintaining good gut health can be one of the secrets to clear skin. The Beauty Chef GLOW ADVANCED Inner Beauty Powder is a delicious berry-flavoured daily powder which works to cleanse the gut with fermented wholefoods and nutrient rich ingredients. Designed to rebalance and regulate both the digestive system and skin function, this vegan, gluten free and Australian made blend can be added to water or smoothies for a boost of nutrition. Another great inner beauty supplement is the Herbs of Gold Clear Skin. 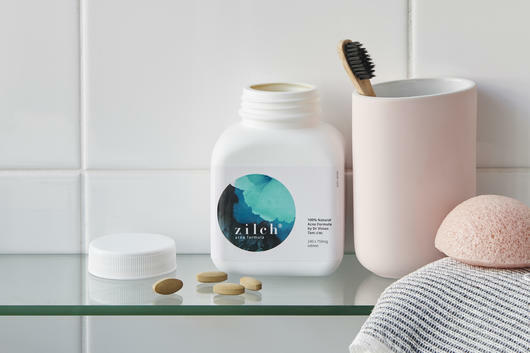 These daily tablets are packed full of active herbs and nutrients that have been chosen based on their skin-healing properties, including Burdock, Yellow Dock, Echinacea, Calendula, Vitamin A and Zinc. Designed to support healing, immune function and collagen production, these vegan and gluten free tablets can be taken twice daily with food. WARNING: When taken in excess of 3000 micrograms retinol equivalents, vitamin A can cause birth defects. The recommended daily amount of vitamin A from all sources is 700 micrograms retinol equivalents for women and 900 micrograms retinol equivalents for men. If you are pregnant, or considering becoming pregnant, do not take vitamin A supplements without consulting your doctor or pharmacist. Drink plenty of water. If symptoms persist consult your healthcare practitioner. Vitamins can only be of assistance if the dietary vitamin intake is inadequate. Always read the label and use only as directed. 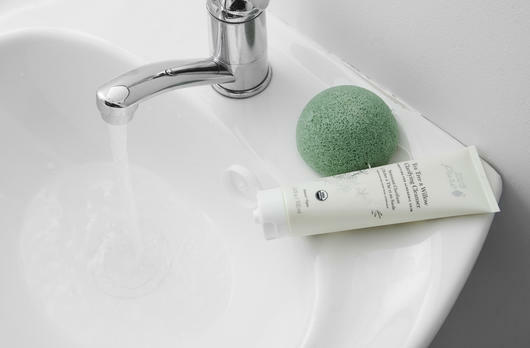 For stubborn or developing spots which need to disappear pronto, the ECO. 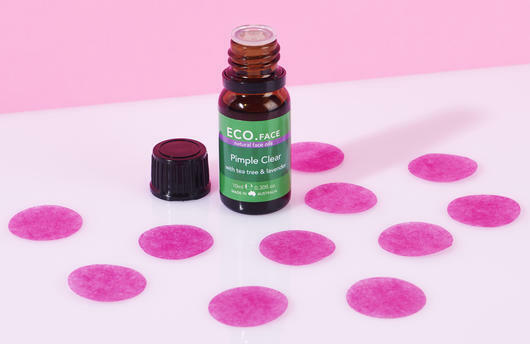 Pimple Clear is an incredibly effective natural spot treatment, and it only contains two ingredients! Tea Tree Oil and Lavender Oil work together and may help to rid the skin of pimple-causing bacteria, soothe inflammation, calm breakouts and reduce redness. Its ingredients are both incredibly potent as they're not watered down, yet this treatment is still really gentle on the skin. Apply directly to the affected area using a cotton tip or pad after cleansing. 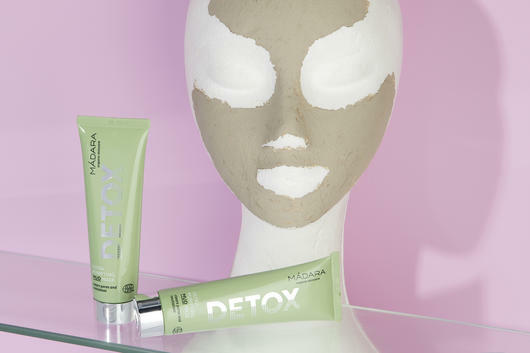 A great weekly mask for acne prone skin is the Madara Ultra Purifying Mud Mask, which works to refine and shrink pores as well as purify the skin. This detoxifying mask is made with Nordic-forest Lake Mud and Kaolin Clay, which gently extract any acne-causing and pore-clogging build-up from deep within the skin and absorb excess oil. Refreshing and revitalising, this vegan, certified organic and gluten free mask also contains soothing Lavender and Olive Oil to replenish skin with healing moisture. Apply to clean skin and leave for 5-10 minutes before removing with warm water. For an ongoing acne treatment to keep pimples at bay, I love the 100% Pure Tea Tree & Willow Clarifying Cleanser for daily use. Refreshing Tea Tree, Willow and Lemon Water as well as herbal extracts including Rosemary, Parsley and Turmeric work together to purify the pores without drying out the skin, instead removing makeup, build-up and impurities and replenishing skin with nutrient rich moisture and antioxidants. Pair with the matching toner for best results. Another favourite spot treatment of mine is the Andalou Naturals Blemish Vanishing Gel, which contains 2% Salicylic Acid to naturally exfoliate the skin and remove build-up from deep within the pores. Antiseptic Witch Hazel and Lavender work with soothing Aloe Vera, Lavender, Willow Bark, Chamomile and Calendula to reduce redness, swelling and inflammation and leave skin smooth and clear. 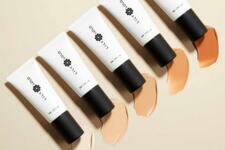 Apply to spots and blemish-prone areas before moisturising.